Sec. 1. Name. 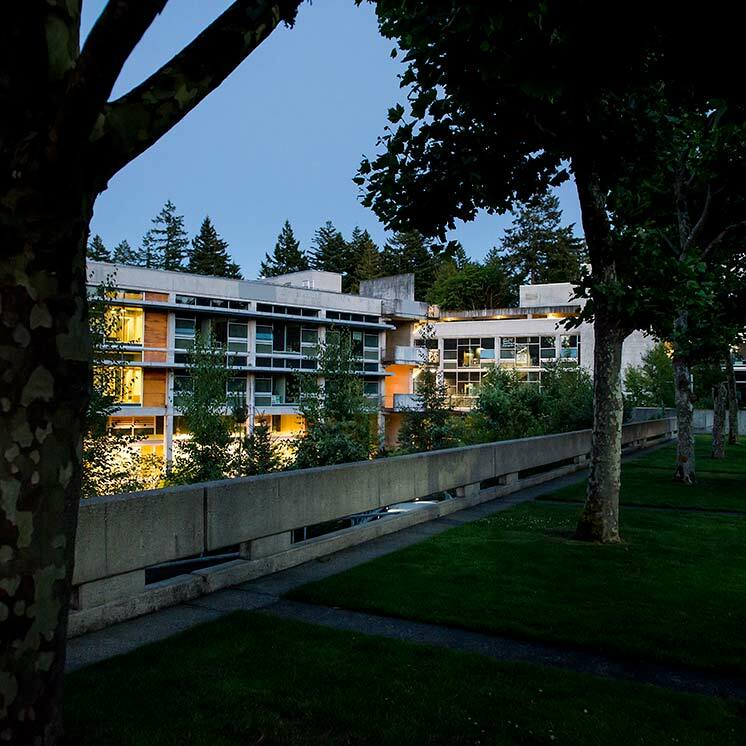 The name of the governing board of this college shall be the "Board of Trustees of The Evergreen State College," hereinafter referred to as the "Board of Trustees." Sec. 2. Composition and Powers. The Board of Trustees derives its authority from the laws of the State of Washington under the provisions of Title 28B and other portions of the Revised Code of Washington. The form and composition of the Board of Trustees, its general duties and powers are prescribed in RCW 28B.40.100-120. Sec. 1. Regular Meetings. A regular meeting of the Board of Trustees shall be held, unless dispensed with by the Board of Trustees, on the campus of The Evergreen State College at least quarterly, or as otherwise filed with the Code Reviser and published in the Washington State Register. Sec. 2. Special Meetings. The Chair of the Board of Trustees, or any two members thereof, may call special meetings of the Board of Trustees at any time; and notice of the time, place and purpose thereof shall be given to each trustee by letter or direct telephone call 24 hours in advance of such meeting. Sec. 3. Public Meetings; Executive Sessions. Meetings of the Board of Trustees shall be open to the public except in executive sessions. Executive sessions may be held for those purposes as specified in state law. Sec. 4. Quorum and Exercise of Powers. A majority of Trustees shall constitute a quorum of the Board of Trustees for the transaction of business. No action shall be taken by the Board of Trustees at any meeting when there is less than a quorum. All matters coming before the Board for determination shall be determined by the vote of the majority of the quorum. Sec. 5. Rules of Procedure. The rules contained in Robert's Rules of Order (the current edition) shall govern the proceedings at and the conduct of the meetings of the Board of Trustees and its committees, in all cases to which they are applicable and to the extent they are not inconsistent with these bylaws. Sec. 1. Designation and Qualifications. The officers of the Board of Trustees shall be Chair, Vice-Chair, and Secretary, who shall be members of the Board of Trustees. Sec. 2. Election. The Board of Trustees shall elect the Chair, Vice-Chair, and Secretary at the regular June meeting of the Board. Said officers shall hold office for one year, and until their successors are elected. In the event of an interim vacancy in any of said offices, their successors may be elected to hold office for the unexpired term. Newly elected officers shall take office on July 1. Sec. 1. Chair and Vice-Chair. The Chair of the Board of Trustees shall preside at meetings of the Board of Trustees and shall have the right to vote. In the event of his/her absence or inability to act, the Vice-Chair shall preside. The Chair is the official spokesperson for the Board of Trustees. In case of the absence of the Chair and Vice-Chair from any meeting of the Board of Trustees, the Chair shall appoint a Board member to preside at the meeting. Sec. 2. The Secretary shall assure that the minutes of the meeting and proceedings of the Board of Trustees shall be recorded and kept. The Secretary is authorized, with the Chair or Vice-Chair of the Board of Trustees, on behalf of the Board of Trustees, to execute or to attest all deeds, real property leases, notes, mortgages, deeds of trust, bond indentures, warrants, undertakings, powers of attorney, releases and satisfactions of mortgages and indebtednesses, reconveyances under deeds of trust and all other releases, when the same have been authorized to be executed by order of the Board of Trustees. Sec. 3. The President shall give public notice of all meetings of the Board of Trustees. He/she shall be custodian of all official records of the Board of Trustees including all deeds, contracts, and other documents and papers of the Board of Trustees. Sec. 4. Claims and expenses. All valid claims against and expenses of The Evergreen State College shall be paid on vouchers approved by the President or his/her designee in accordance with budgets approved by the Board of Trustees. Sec. 5. Special Authority of Officers. The officers of the Board of Trustees shall have such powers and shall perform such duties in addition to those set forth herein as may be delegated to them by the Board of Trustees. Sec. 6. Delegation of Powers and Duties to President. Delegations of powers and duties of the Board of Trustees will be made by resolution according to RCW 28B.10, and will be filed in the policy manual of the Board of Trustees of The Evergreen State College. The Board of Trustees retains those powers and duties specified in that resolution. Sec. 1 Standing Committees. The standing committees of the Board shall be the Nominating Committee and the Audit Committee. Each of these committees shall consist of not less than two members. Sec. 2 Nominating Committee. In MAY of each year, the presiding Chair will appoint a committee to nominate a Chair, Vice-Chair, and Secretary from among the members of the Board. The nominating committee shall present nominations at an open public meeting in June of each year. Sec. 3 Audit Committee. At an open public meeting in June of each year, the presiding Chair will appoint no less than two members to the Audit Committee. Audit committee members will serve for one year and until their successors are appointed. The Audit Committee shall meet at least twice each year to review the internal audit plan, audited financial statements, and reports from internal and external auditors. The Audit Committee reports to the full Board. The college Internal Auditor reports administratively to the President and functionally to the Audit Committee. The Internal Auditor may communicate directly to Audit Committee members between meetings. Sec. 4 Special Committees. Special committees may be created from time to time. Special committees. Special committees are limited in duration. The presiding Chair appoints members to special committees. Special committees report to either the presiding Chair or to the full Board. Sec. 5 Limitations on Committees. No committee may act on behalf of the Board. In the absence of specific delegation of authority from the Board, no committee of the Board shall conduct hearings, or take testimony or public comment. Sec. 1. No bylaw shall be adopted, repealed, or amended, except at a meeting of the Board of Trustees by the affirmative vote of a majority of the entire Board; and unless at a meeting of the Board of Trustees held prior to the meeting at which a proposed bylaw, repeal, or amendment of bylaw is voted upon, notice of intention to propose such bylaw, or repeal, or amendment, including a draft thereof, shall have been proposed.